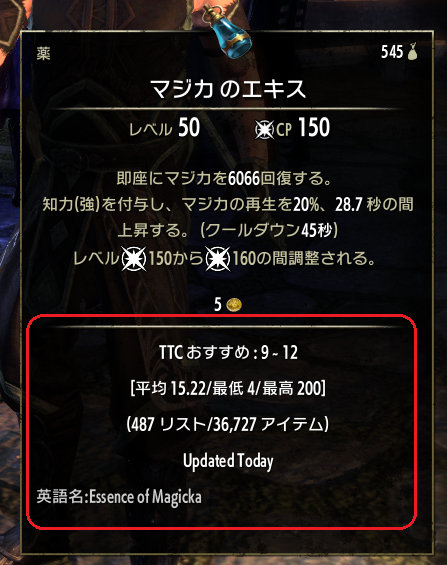 This is a temporary patch until Japanese translation is available. 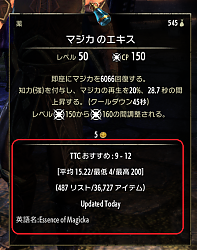 Converted the Japanese item name to English, and working TTC as English environment. 2.Added a delay to avoid conflicts with [AwesomeGuildStore]. Fixed that English environment does not work correctly. Last edited by HawkWind2018 : 11/10/18 at 06:18 AM.